Summer flew by as it always seems to. It was such a pleasure to see all the talented and motivated familiar faces and make new connections at AEJMC. I got to see many innovative educators whom I admire and whose work I follow. 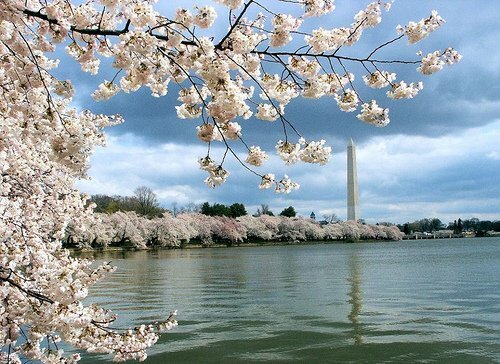 I had an amazing time starting my role serving as the Director of ICBO One Global Digital Strategy for the partner organizations of the International Congress of Behavioral Optometry and traveling to Australia as part of that project. While summer was truly an opportunity for growth and new experiences, the semester has begun here at Shepherd University. That means, back to blogging! With that said, it is time for my annual post about “What’s changing” in my classes this semester (you can see past posts here). Today we’ll focus on a few tweaks to my Comm 322 Social Media Class (prior posts about this class. Prior syllabi). This class is one of the most fun but also one of the most challenging as things keep changing. And, I’m always looking for small tweaks to improve how I run my class as well as the content and the assignments themselves. Here are a few highlights on changes I’m making to my Comm 322 Social Media class this semester. New Textbook! I’m a big fan of Carolyn Mae Kim at Biola University and have had the pleasure of working with her on prior projects. So when I found out she was writing a social media textbook (titled Social Media Campaigns: Strategies for Public Relations and Marketing), I knew it was something my students needed to read. Even though it just came out this summer, I made sure our university was able to get it in time for the semester. I had the pleasure of an early look at the book, and it is excellent. I’ve decided to replace Brito’s book. I liked his book quite a bit, but students seemed to struggle with it a bit. I believe Kim’s book will be a better fit into the class and thus more accessible. Our second book in the class will be the updated version of an old favorite, Likeable Social Media. 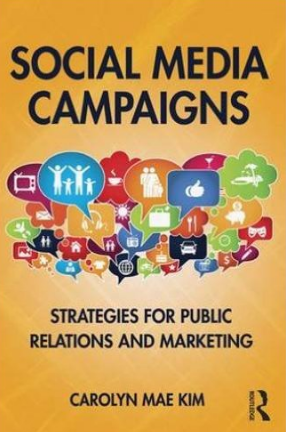 Later this semester, I’ll do a book review of Kim’s Social Media Campaigns: Strategies for Public Relations and Marketing on this blog. Slack For Teams – You’ve probably heard of Slack the app and web tool that’s aiming to replace email for teams. I’ve written a bit on this blog about teamwork and how much I rely on it in my classes. With that said, I began using Slack last semester with a group of students I’ve been working with informally outside of class. I found it a great tool for keeping everyone in the loop, sharing files and links, etc. So this semester, I’m going to continue using it with that team but also bring Slack into my Social Media class for team communication. Because the class is broken into different teams for different social platforms, in group and between group collaboration is important. I know students may be a little reticent to use a new tool, when often they text or use Facebook Messenger to communicate with one another. I have a few ways in which I’m going to require use of Slack for class assignments. It should be an interesting experiment and testing it in this and another class will make for a great experiment in enhancing classroom teamwork. Look for a full blog post later this semester. I’ll also be presenting on Slack in Indianapolis during Super Saturday later this semester. More with Metrics – I spent a lot of effort last year working on upping my metrics game. While I believe I’ve still got a ways to go, I’m planning to bring in professional social media listening tools into the social media class. We have access to Microsoft Social Listening now here at Shepherd. And may possibly have access to other professional tools. Evolving But Keeping The Core of the Main Project – Due to the repeated success I’ve had with the semester-long project in this class (from student feedback, from my own evaluation and feedback from others), I’m not going to change anything structurally to it. However, with the ongoing evolution of social media I’m hoping for some fresh ideas from students on how to use tools like Instagram stories. With enough push from the students, I might even consider starting a Snapchat for our department. Though I’m not a Snapchat person myself, I was super inspired by Ai Zhang’s presentation on Snapchat at AEJMC (read about Dr. Zhang’s work on Snapchat). If you’d like to see posts about that project, you can see an overview here and a reflection here. A copy of the syllabus is below. It can also be found via the menu on this blog. Altogether, it is going to be an exciting semester here! And I’m excited to be back in the classroom. 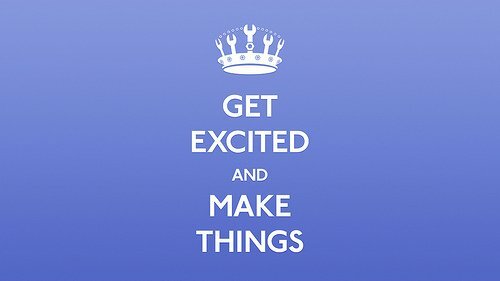 I’ve got plenty of new things I’m doing to become a better educator and continue to improve my classes. I plan to blog about them throughout the semester. So stay tuned! Hope that your semester is off to a great start! 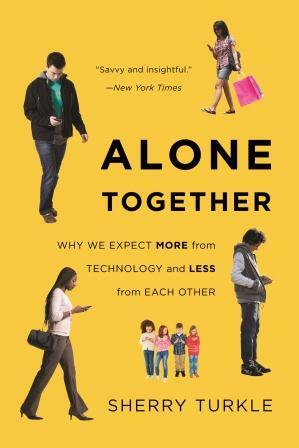 Alone Together: Why We Expect More From Technology and Less From Each Other by Sherry Turkle is not the sort of book I tend to review on this blog. I usually talk about books that you might find useful to integrate in university classes aimed at teaching about professional uses social media and related subject. Alone Together, on the other hand, is a cautionary tale. This year Alone Together is the Common Reading book here at Shepherd University. And, as a member of the committee, I had the chance to read it. The book is a detailed review of years of Turkle’s research from her time exploring the early days of artificial intelligence as a graduate student at MIT up through contemporary times where smart phones, video games, and virtual worlds have become a conduit for our interactions with others. The second half of the book is about ‘why we expect less from each other.’ This, of course, is tied to why we expect more from technology. A large part of this portion of the book is the various ways in which we are hoping that technology can serve to take away the pains, discomforts, or awkwardness of dealing with others. Break ups over text-message, Second Life romances with persons we’ve never seen or met offline, and using IM or dating websites to flirt, are all examples of this. Another theme is how we construct our identities and craft an image of ourselves through Facebook (or blogs such as this 🙂 ). A major theme that touched home to me, is streamlining and efficiency. For example, because we are so busy, it is more convenient to text or email to get things done. There’s no time to sit and chat – both parties are busy. We’ve got to get straight to the point. I admit, this is a behavior I am very guilty of. Efficiency and maximizing productivity are things I highly value. I often find it much more effective to email about work-related things. With the rise of social media, and tools like Skype, there is such promise for connectivity. We can extend our senses across the world, as McLuhan stated. Yet, are we taking time to be with others? Or, are we blasting away messages into space, like Tweets that no one will read because we feel we need to have a consistent presence? But, the more we post the more content there is, and the greater the competition for the attention of those we want to reach. It is an unknown place we are all rushing towards (And, I admit, that I took a detour once or twice while writing this blog post to check Facebook and Twitter). It is fair to say that our society has become optimistically obsessed with technology. And, I am not exception to that. After all, this is a blog about technology and how we can 1) use it as a tool to teach our students, and 2) how our students should learn and understand it to advance their careers and, I hope, seek fulfillment in their careers. We are wise to remind ourselves that just because we call something social media doesn’t mean that we are using it functionally for social purposes. Turkle is skeptical of technological optimism. And, for that reason, I thank her for the opportunity to put my own relationship in technology on review. Have I been using social media socially? Or, have I been using it as a broadcast platform? Is it bringing me connections, enrichment, and the opportunity to help others, enrich others, and build lasting relationships? (A recent article, explored that social relationships are and always will be a major predictor of happiness and well-being. Turkle’s work is cited in the article). We talk a lot about ‘engagement’ on social media as a key metric. But, what are we measuring when we measure engagement? Are they simply behaviors or lasting emotional connections and relationships? If you’re interested in a journey exploring our complex relationship with technology, this book is a worthwhile read. I believe we can only gain by exploring and reflecting on our own relationships and biases about technology. “Social Media and Mobiles” Social Media and Politics Research Published! I hope everyone is staying warm! Here in the Eastern Panhandle of West Virginia, we’ve got some terribly cold weather heading our way tonight! I want to take a moment to share some news from the research side of my life in academia. 🙂 As you know, I research social media and civic and political participation. I’m very excited because this past Friday, my latest co-authored study was published online in the journal New Media and Society. 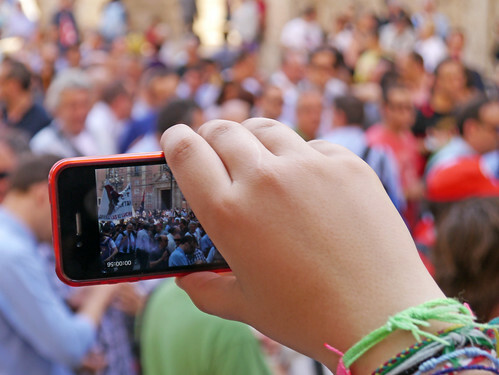 Social Media and Mobiles really seeks to further investigate the seemingly important role of online political expression (such as posting political videos to YouTube, Tweeting about politics, or posting to Facebook, etc.) in political participation. Particularly, the study looks at what role online expression may play in moderating any effects of political media use on participation. Additionally, this study investigated political smart phone app use, something not investigated in the prior two studies. A web survey of college students was conducted to examine whether online political expression moderates the effects of political media use on political participation. Results showed that online political expression enhanced the effects of political mobile apps, traditional offline and online media, and social media on political participation. Implications are discussed for a mobilizing role of online media in the democratic process for young adults. You can see my other posts on social media research.